As the birthplace of the Buddha, Lumbini is among the four holy sites that pilgrims from the world over travel to during their lifetime. But the nativity site in Nepal is in a sad state, and needs to spruce up its facilities for a rush of visitors once its new international airport named after Gautam Buddha is completed later this year. The inner sanctum of the Maya Devi Temple here has the marker stone at the exact spot where the Buddha was born 2,642 years ago, and it already receives 1.6 million visitors annually. 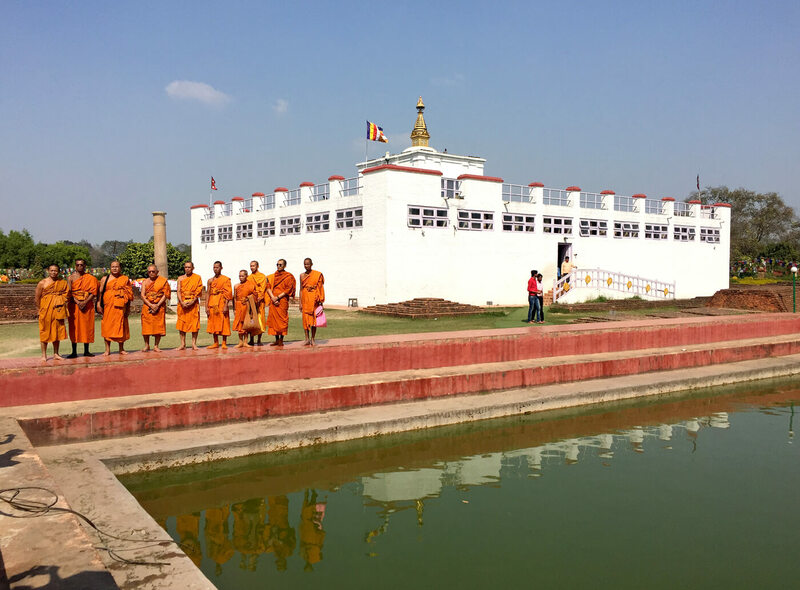 Many international pilgrims at present come just for a day to Lumbini while on the Buddhist circuit in India. But with the new Gautam Buddha International Airport nearing completion only 16km away, this number is expected to surge as direct flights can start operating from predominantly-Buddhist countries in the region like Sri Lanka, Burma, Thailand, Laos, Vietnam, China and Korea and Japan. There are also tourists who come to Lumbini it is a centre for learning about Buddhism with a library, museum as well as monasteries built by various countries within the World Heritage Site designed by Japanese architect Kenzo Tange 40 years ago. Tange’s master-plan divides Lumbini into three zones of 1 sq mile each: the sacred garden consisting of the Maya Devi Temple, the monastic zone that has monasteries from around the world, and the new Lumbini village with modern facilities for visitors. 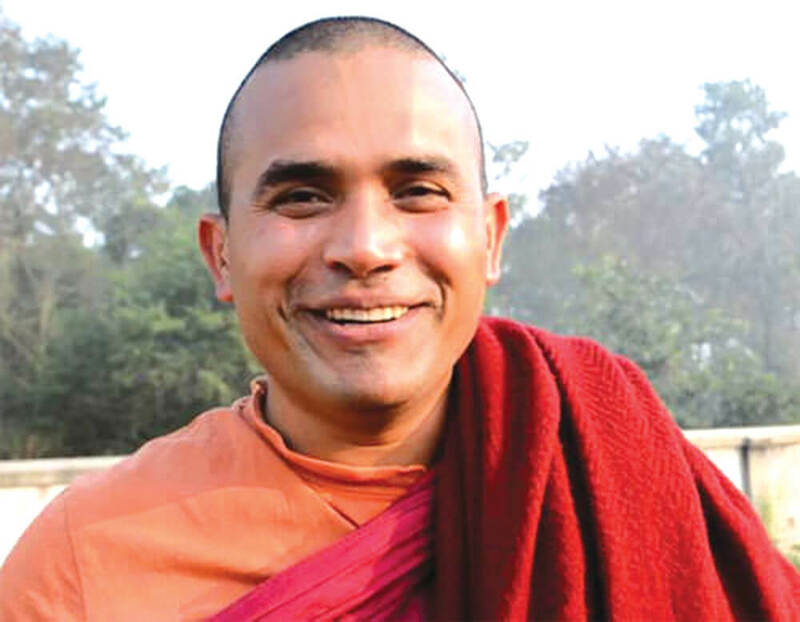 The master plan which had been languishing for decades is now being expedited under the leadership of Metteyya Sakyaputta (Awadesh Tripathi), a Buddhist monk himself. “For the past 40 years, we never set a deadline or had an urgency to complete the master plan. Now, we have opted for international bidding and selected the best from around the world. This will ensure that the work is completed as soon as possible.” says Ven Metteyya. 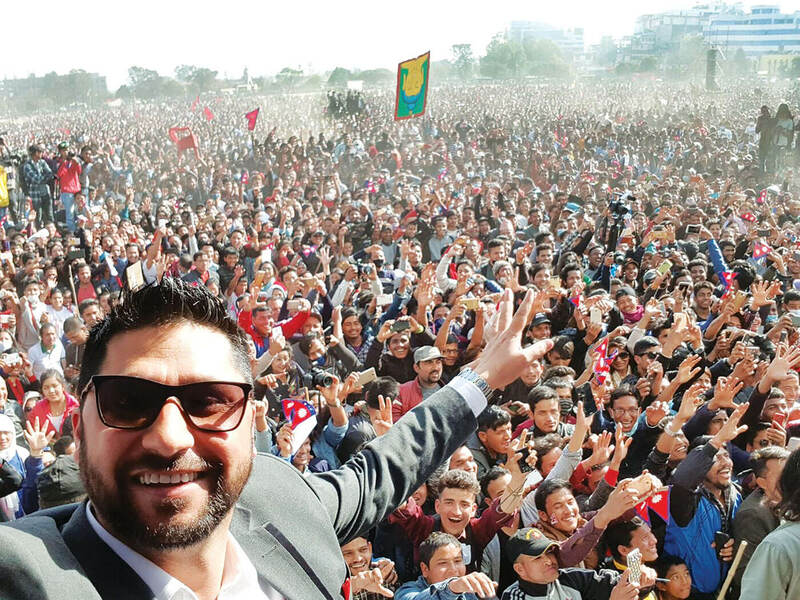 Tourism Minister Rabindra Adhikari had put the completion of the masterplan as his priority, and his death last month in a helicopter crash has been a big blow to Lumbini’s preparations for the future. Ven Metteyya says most of the remaining work in infrastructure, drainage, waste water treatment facility, walkways, a centralised drinking water system, and pond construction is being expedited. Work for solar-powered charging stations in Lumbini is also expected to be complete in the next month. Electrification and a free WiFi network is being established for the entire masterplan area through which visitors can download an app that will help them navigate through the sprawling site. 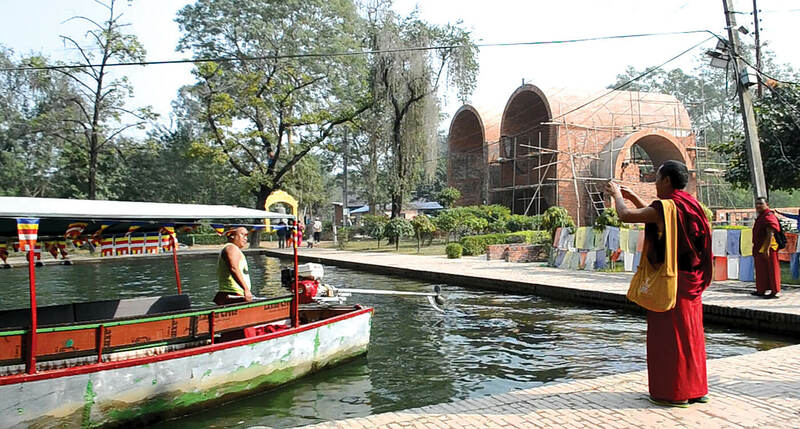 This is an important project to resolve the information deficit Lumbini currently suffers from, especially in the international monastic zone which is divided into two parts by the central canal. The eastern part has Theravada tradition temples and the western portion has shrines belonging to the Mahayana sect. The temples are grandiose, and get a lot of visitors but there is not enough signage and information for visitors to learn from the significance that Buddhism has in sects within countries. Tourists and pilgrims can be seen clicking selfies without meaningful immersion and learning. The app, and the upgraded museum are expected to ease this problem. Even though the Maya Devi temple receives the largest number of visitors, most spend less than 45 minutes there. 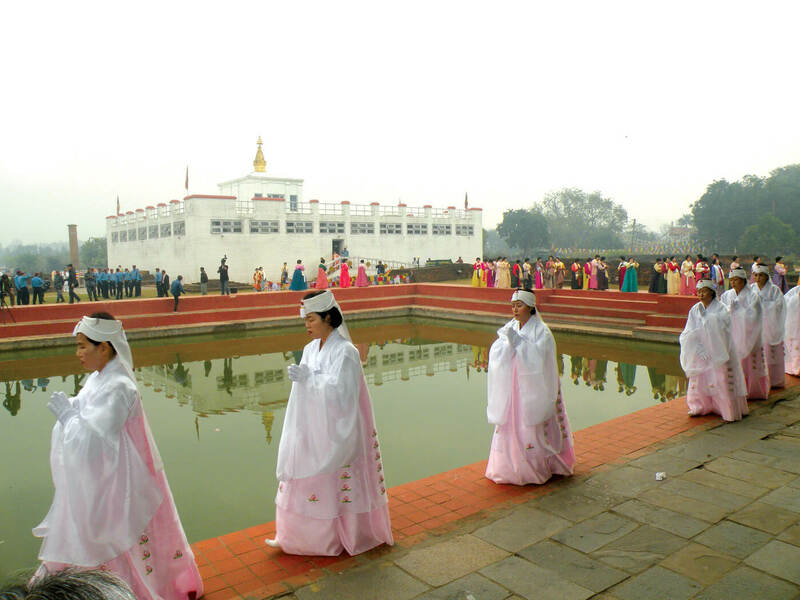 There are not many activities to do in the larger Lumbini gardens either. The Lumbini Trust is seeking to expand its activities in the neighbouring districts of Kapilvastu and Nawalparasi which have over 235 sites of archaeological importance to Buddhism. Kapilvastu is the home town of Gautam Buddha, and where he lived for 29 years as Prince Siddartha before renouncing everything in search of enlightment. In Tilaurakot, visitors can see ancient excavations of the Budhha’s father’s palace. Ramagrama Stupa in Nawalparasi has some of the Buddha’s corporeal remains. Among eight places where Budhha’s remains were spread following his death, Ramagrama is the only one that remains untouched and in its original state. Places like Kapilvastu and Ramagrama are valuable for pilgrims, but also for non-Buddhist tourists who want to learn about the Buddha’s life and history. The Trust hopes to promote these centres in a circuit that enriches the experience for visitors, and take them beyond just Lumbini. The expansion of the Buddhist circuit to these other sites would also spread out the benefits of tourism to larger areas. “Promoting places like Kapilvastu and Ramagrama will definitely help the economy of local hotel businesses as pilgrims and tourists stay longer to explore the greater Lumbini circuit,” says Tul Bahadur Thapa, manager of Hotel Aloka Inn in Lumbini. To accommodate the expected increase in pilgrims and tourists, new hotels have started coming up in the Lumbini-Bhairawa-Butwal triangle which already had the look of a boom town with new factories and highways. Proximity to India also means new five start hotels like Tiger Palace are targeting Indian guests for weddings and to its casinos. Travel trade experts say that Nepal Airlines should take the lead to begin marketing package tours and flights from Thailand, Sri Lanka and Burma directly to Lumbini, and not wait for the airport to be finished.